Calling internet memes “the street art of the social web”, artist, designer and writer An Xiao Mina looks at how internet culture reflects an urban street aesthetic online. With both online and offline responses to the arrest of Ai Weiwei to environmental disasters in Shanghai’s waterways, Chinese citizens have used a wide variety of memes to talk about difficult political issues on one of the world’s most censored internet spaces. If the internet and social media are the new city streets, memes act in the same way as street art, providing a dissenting voice through media. 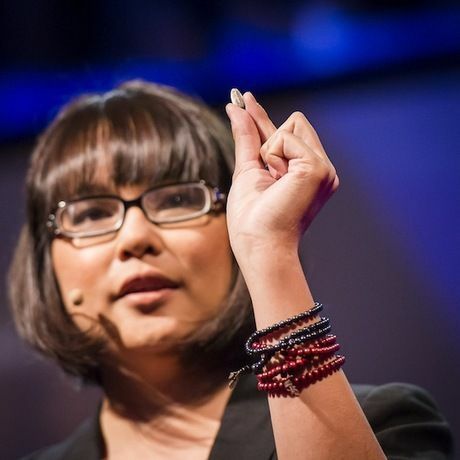 Mina is co-founder of The Civic Beat, a global research group and consultancy for internet culture and viral phenomena based in Hong Kong, New York and California. An “An Xiao” Mina (www.anxiaostudio.com) is an American artist, designer, writer and technologist. In her research and practice, she explores the intersection of networked, creative communities and civic life. Calling memes the “street art of the internet”, she looks at the growing role of internet culture and humor in addressing social and political issues in countries like China, Uganda and the United States. Her writing and commentary have appeared in publications such as The Atlantic, Fast Company, Wired and others, and she has lectured at conferences such as the Personal Democracy Forum, ROFLCon and the Microsoft Social Computing Symposium. This was fantastic. I love how An Xiao hits upon several examples of memes playing an integral role as a way to discuss challenging political issues, as well as a way of dissenting.